Coming of age isn't easy for a homeless orphan girl. But when Mages, Kings, and Dragons all want to control her destiny, she must uncover her past to find her future. I'm not going to lie to you. This book has been sitting on my shelf for far too long. That's what happens when you fall apart and have to put yourself back together. Things get set aside for far too long...but in some ways, it makes them that much more awesome when you pick them up again. In this case, I had no idea what to expect from this book. I picked it at random from a stack when I knew I was going to be spending a lot of time sitting around while the youngest child performed with his steel drum band. Turns out that it was a really good random book choice! All of the characters in this book are really well written. Dani is a character that you can't help but get attached to. With every step of her journey, you're right there with her. Though the book is fantasy, you believe that all of these things have happened or are happening to her. The writing is just that good. 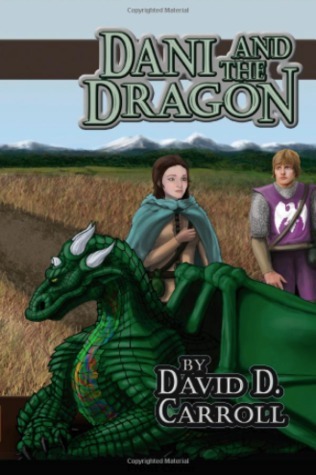 The story progresses at a steady pace and you're caught up in the world of royals and dragons and one girl who is just trying to figure out what's right for her. Would I recommend this book? Yep. Totally. Go and get it. It's a great read and another one that I couldn't put down. Edit: The author has changed his pen name to Simon Driscoll. For information on how to find his books, check out his web page.